I often tell people that job interviews are a lot like dating; you’re nervous, wanting to make a good first impression without really knowing what to expect. Some people are really good at dating, and job interviews, while others tend to struggle a bit more. It isn’t necessarily an indication of what they are capable of, so much as it is a sign of their nervousness. A nervousness that everyone has, though some seem to contain it better than others. Still, I don’t care who you are, everyone has had a bad date (and a bad interview) at least once in the past. 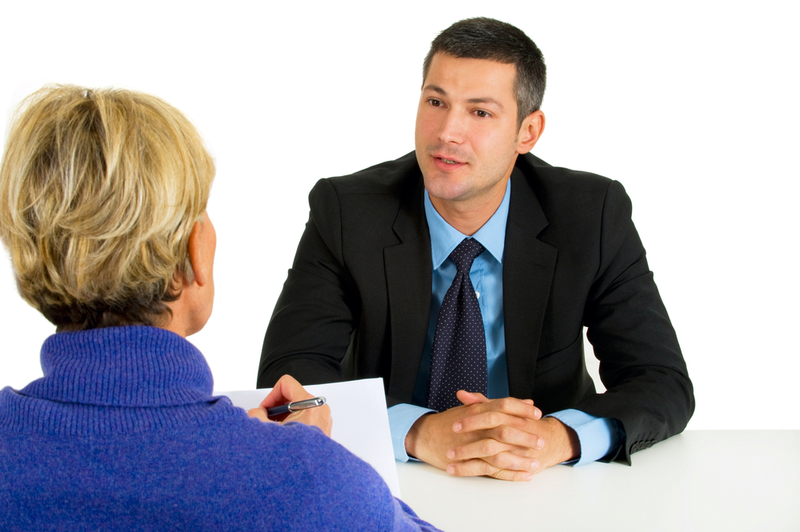 There can be so many contributing factors to a bad interview. It’s possible the interviewer is in a bad mood themselves, and not responding to you as positively as they otherwise might. Or perhaps you have a lot of outside stress going on, and are having a difficult time concentrating on the meeting at hand. It’s also possible that you struggle with communicating your thoughts effectively, and are sitting in that chair hearing yourself ramble on pointlessly, without feeling capable of stopping that flow of words. Whatever the reason, you are in the middle of an interview that you know you are tanking. What do you do? Since one of the biggest factors in a downhill interview is often nerves, it’s important to try to take a step back and reel in that anxiety, if at all possible. Obviously, you can’t likely take a step out of the room and a walk around the block, but you can take a few deep breaths and mentally remind yourself to calm down. Practice a soothing mantra of some sort before any interview (perhaps something as simple as, “I am skilled. I am qualified. I would be great at this job.”) Should you start to feel those nerves peaking mid-interview, repeat that mantra in your head a few times as you breathe. Then, if all else fails, you can always picture the interviewer in their underwear. Just don’t tell them that’s what you’re doing – there may be no recovering from that! We’ve somehow got it in our heads that with both dating and job interviewing, we have to present the façade of perfection in order to be taken seriously. But the truth is, people tend to respond well to vulnerability, and there is something to be said for admitting to an interviewer that you are nervous and that you know you didn’t answer the last question (or the last series of questions) as well as you should have. Take that opportunity to clarify what you meant, and to explain why you are so nervous – perhaps because this really is your dream job, and you have heard so many positive things about this company, you just want a chance to prove yourself there. Don’t start wallowing in your seat, and avoid coming off as too self-deprecating, but don’t be afraid to be honest if your nerves really are getting the best of you. Once you’ve acknowledged your missteps, work to redirect the conversation to what you are capable of and why you believe you would be a good fit for this job. Try to talk freely about what you have to offer and the ways you have contributed to positions you have held in the past. When the interviewer asks at the end if you have anything else to add (and they almost always will) use that opportunity to put in a solid sell for yourself. This is something you can, and should, practice before any interview – because knowing what to say in those final minutes can absolutely override any missteps you may have made earlier on. Following up is always a good idea, but especially if you know you didn’t make the best first impression. A brief e-mail to follow up, and to possibly clarify anything you realize after the fact you may not have answered well in the interview, could go a long way to helping to change the interviewers impression of you. Particularly if you acknowledge you were nervous and say something along the lines of, “When you asked about ____, I know I responded vaguely, but if I hadn’t been so nervous, I would have told you that ____.” The key here is to keep it brief. No more than a few paragraphs, tops. Thank the interviewer for considering you, choose one major point to clarify, and then end on a note about how hopeful you are to prove yourself at some point in the future. There you are, sitting across from a hiring manager after what seemed to you to be a good first interview. You’re feeling strong and confident, but then – they ask the question you hadn’t prepared yourself for. Even though you probably should have, because it tends to be asked at the end of every interview. When preparing for interviews, applicants almost always forget to prepare for this one – they are so caught up in how to best present themselves, that they overlook the power of having well thought out questions to ask at the end. Now you’re in a panic. You know that asking a question is important. It shows your genuine interest in this position and in knowing more about it and the company, and it gives the interviewer insight into where your head is. But asking the wrong question can also be fatal – for instance, now is not the time to ask about what benefits accompany the job offer. That’s putting the cart before the horse! How have previous employees been most successful in this position? This question shows you care about being successful, and that you want to know what tools others have utilized in the past to achieve that success. How can you be the best fit for the position, is basically what you are asking. You are showing the interviewer your commitment to being a valuable addition to the company, and to thriving in the role you are interviewing for. If this wasn’t an interview, and you were just talking to a friend, what would you say you find most rewarding about working for this corporation? Hiring managers like to know that you aren’t just desperately looking for any job – you want to work for their corporation in this role! With high turnover rates, finding employees who are passionate about the company mission can save organizations a lot of money, and asking the interviewer what they personally find most rewarding shows that you care about finding that fit as well. What would you most like to see the person in this position accomplish in their first 90 days? This is such an important question, and one most interviewers and interviewees fail to address – what are the expectations of you in those first 90 days? What could you do to blow your supervisors out of the water, and where should your priorities be placed? Asking this question again shows the hiring manager that you care about being successful in this role, and also that you are open to paying attention to assigned priorities, so long as they are willing to guide you in those early stages. How would you describe the corporate culture here? This is another one that focuses on the fit within an organization. It shows you care not just about finding a job, but about finding the right job in the right organization. Hiring managers are starting to place a much bigger emphasis on corporate culture and making hires that fit within that culture. So asking this question shows that you understand the value of that. Is there anything about my qualifications that you think might be lacking? While it may seem counterintuitive to potentially bring up areas where you may be lacking, asking this question allows you to address any concerns the hiring manager may have head on. It shows you aren’t afraid of exposing your areas of improvement, and that you are willing to take criticism and provide solutions for those perceived gaps. Finding out about those hesitations in an interview is so much more beneficial than hearing about them when you are being told someone else was given the job – so give the interviewer the chance to express any concerns they may have now, so that you can have the opportunity to ease their worries before those worries count you out for the job. You have been on the search for a new and fulfilling career for a while now, and recently you saw an opening for a job you know you would be perfect for. You scoured the job description and diligently targeted your cover letter and resume to catch the hiring manager’s attention. Your eye for detail has paid off, and you are now three days away from that first interview. How should you prepare so that you can give the best impression possible? Get online and learn everything you can about the company. You want to find out about their core philosophies and goals for the future. Read through any recent reports they may have released, and check to see if they have made the news in any capacity over the last year. Pay attention to the other companies they may align themselves with, as well as ways they have become involved in the local community. If you can, try to get a feel for their corporate culture, including ways they show their appreciation to employees and how much they value a work/life balance. All of these things can come in handy during an interview, allowing the hiring manager to see that you have done your research. Try to find a few aspects to remark on, expressing how impressed you are by what you have learned. Yes, you already looked over the job description when you first applied, but now you will want to commit those details to memory. Throughout the interview you will have many opportunities to show the hiring manager you are exactly what they are looking for, but you have to know what they are looking for first. If there are some key skills and abilities which seem to come up multiple times in the job description, make it clear that you possess those traits which seem so important to this role. Think up some questions you can ask about the position as well. Not about the benefits, but about the type of person they are specifically looking for and how you could better fit that mould. Now is the time to go through a few dry run interviews, making sure you are ready to answer any questions which may come up with composure and confidence. Compile a list of typical interview questions and ask a friend or family member to help you practice. Treat this as you would a real interview, not allowing yourself to fall out of character or lose focus. If you don’t answer a question in the way you would have liked to, come back to it later and practice your response again and again until it feels right. Have your faux interviewer throw in a few unexpected questions as well, even if they don’t necessarily pertain to your ability to complete the job. This can help you prepare for any surprises which may come up during the actual interview. Save yourself some stress by heading to the interview location a day or two early. Pay attention to any traffic congestion which you may need to plan for on the day, and drive around the parking lot a few times to get a better idea of exactly where you need to go. This can also be the perfect time to get a feel for the new office you may be working at. Scope out local eateries and assess employees as they walk in and out of the building. You can take in the corporate culture by making these pre-emptive visits, and if the current employees are all dressed to the upmost level of professionalism, this can also give you an idea of how to present yourself on interview day. Visit Resumes Australia to learn more about how we can help you with interview coaching. Alternatively, take advantage straight away of our services here. As an executive, building rapport with your interviewers is critical in progressing to the next phase of the recruitment process. If you do have an executive interview coming up, it is important to view it as the start of what could possibly become a long term relationship, rather than a one-off opportunity. Even if you don’t get the job, great rapport now will make you a memorable candidate, which can benefit you greatly in future. It is often the little things that can leave a bad taste in an interviewer’s mouth, so make sure you master your interview from the start. This means showing up on time (or earlier) and presenting yourself as professionally as possible. Make sure you are dressed in corporate attire and that your appearance is neat and tidy. Courteousness can go an extremely long way in building rapport, so it is crucial to be polite at all times, whether you are dealing with the receptionist or with your actual interviewer. This may sound like an obvious piece of advice, but it is important; a lack of manners – even simple ‘pleases’ and ‘thank yous’ – can create the impression that you are stiff, unfriendly, disrespectful and even downright rude. Smiling is also important in your executive interviews. Just because you’re a high profile professional doesn’t mean that you can’t be happy about it as well. Smiling will create the impression that you are confident, prepared, eager, relaxed and pleased to be attending the interview. As a result, you will come off much more approachable and open and interviewers will respond to you much more warmly as well. A job interview is not only about the skills and talents you can offer, but about how your personality as a whole will fit in with the culture of the company, and more specifically, as a member of the executive team. Interviewers want to know that they are interviewing a real person, not a professional robot and they will want to get to know you both as a professional and as a person. Creating a personal, honest and open atmosphere is essential here and will ensure your rapport gets off on the right foot. Finally, one of the biggest aspects of building great rapport with any contact – whether a colleague, a head hunter or an interviewer – is to be yourself. Interviewers can often sense when you are “putting on a show” or trying to behave as someone you are not, and this can lead to poor rapport and a sense of ‘falseness’ about your performance. If you are nervous or unsure of how to be confident and be yourself during job interviews, it is simply a matter of improving your skills with practise. 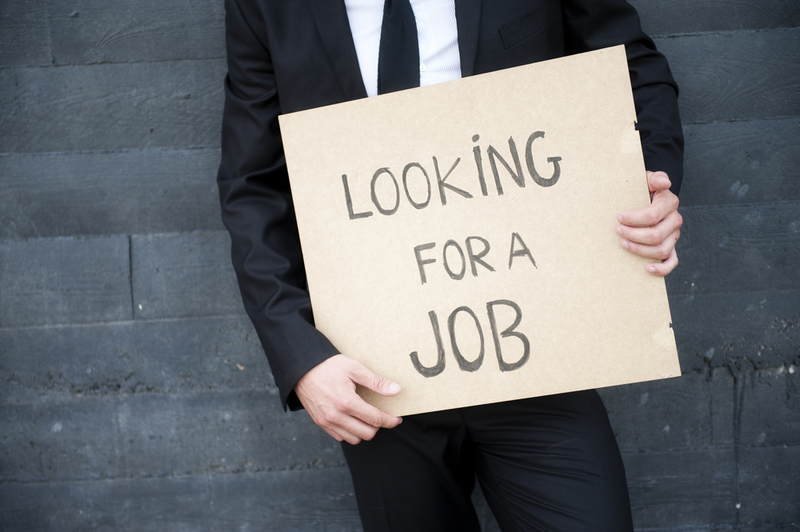 You might have any number of reasons for switching employment or looking for a new job. From everyday job dissatisfaction to downright unhappiness, any job change should bring about more positive and enlightening opportunities. But when it comes to explaining to an interviewer why you want to leave your current company, it’s important to be honest without being negative. Whatever your reasons are, it is extremely beneficial to be positive about your decision and the changes ahead of you. When an interviewer asks you why you want to leave your current role, it is tempting to start complaining, whinging or being negative about the company and your position. However, this essentially casts you (not your company) in a negative light and portrays you as a candidate who perhaps can’t handle pressure, deal with conflict or who doesn’t want to take on new responsibilities. For instance, I once interviewed a candidate who wanted to find a new job because he said he was sick of being “scolded” in his current company. While this was understandable, it also indicated that he might not perform well under pressure or that he wasn’t open to criticism. Even though he was being honest, it cast many doubts in my mind as to whether or not he was competent enough for the job he was applying for. In any interview, it is crucial to stay positive and avoid negativity at all costs, since employers feel that if you’re negative about your current role, there’s nothing stopping you from being negative about your new role. Candidates with negative attitudes also come across as being unproductive, uncreative and inefficient. “I don’t get paid enough” – “The salary on offer is not on par with my skills or with the industry norms. I feel that I bring a lot of value and strengths to the role, but this is not shown in the remuneration or benefits given. Remember, whatever you dislike about your current job, make sure you shed some positive light on your decision to leave in any interview you attend. This will show you are an enthusiastic, determined and career-focused candidate who knows exactly what they want and who is making the right moves to achieve success. Resumes Australia specialises in great interview coaching techniques that can significantly enhance your interview performance. Learn more about our interview packages here. Connecting with a recruiter or search consultant during your job search can be invaluable. Recruiters can open doors to new opportunities outside of traditional applications and they can put you in front of high profile organisations that you otherwise wouldn’t have access to. Once you’ve made it to the interview stage, it is imperative that you impress your recruiter in order to secure that next, crucial meeting with the employer. Confidence goes a long way in impressing recruiters in an executive interview. Being shy, uncertain or too softly spoken can give the recruiter the image that you are not strong enough to deal with the daily tasks and challenges that the role entails. Confidence needs to encompass all areas of your interview, too; you need to be able to speak confidently about your past/present responsibilities and accomplishments, as well as your challenges and weaknesses. Have you mastered the art of answering tough interview questions, talking for the right amount of time and staying on topic? And are your answers fully relevant to the role? If your interview skills are rusty, it will benefit you significantly to polish up your interviewing and speaking techniques. Practising and rehearsing answers or participating in a short interview coaching session can be useful, especially if you haven’t been to an interview for a long time. Remember, if you don’t impress the recruiter, you won’t have the opportunity to impress the employer. Friendliness alone won’t get you the job, but it is important in building rapport with the recruiter. While you don’t need to be overly friendly, pleasantries and courteousness are ideal in giving your interview that personal touch and ensuring the recruiter that you are a confident, relaxed person. Remaining attentive throughout the interview is also key; appearing distracted, negative or bored will definitely not work in your favour. Finally, make sure you ask some questions about the role you are applying for once the recruiter has finished interviewing you. Most recruiters will expect this and your questions will shows interest and enthusiasm in the position. Conducting research prior to the interview can also help shape and inform your queries and will also serve to impress the recruiter. While basic questions like, “what does the role involve?” and “what are the company perks?” are important, more specific or in depth queries will also demonstrate your aptitude for the role. Resumes Australia is a top career consultancy firm specialising in interview coaching, resume writing and career coaching for executives. Executive positions often involve a high level of demand and responsibility. Although this is expected at the senior level, it will be beneficial for executives and their organisations to be aware of the common causes of workplace unhappiness, all of which can result in low employee productivity, resignations and unsatisfying career journeys. Low remuneration is the primary reason workers become dissatisfied, especially if their workload or responsibilities are increasing or if their salaries are significantly below the industry benchmark. Solution: If you feel like you are not being paid fairly, then it could be time to ask for a raise and/or promotion. Build a case that describes in detail why you deserve better pay and make sure you have evidence and examples to back up your claims. If more money is not an option, consider asking for additional benefits or perks. These days, the corporate work environment is an extremely busy place, with workloads getting larger, hours getting longer, and work being done at home more often. If you constantly operate in high gear, it can lead to feelings of stress, inefficiency, unhappiness and frustration. Solution: To achieve a better work-life balance, try implementing more rigid work hours, delegating junior tasks, leaving work at work and even taking regular lunch breaks. All of these things can relieve the pressure and make your responsibilities much more enjoyable. People feel greater satisfaction when doing work that is engaging, challenging and that they feel adds value to the organisation. Lack of job satisfaction generally comes from being under-utilised in a role, being unable to grow and learn or sensing that the role is not a good fit in terms of long term career objectives. Solution: To shake things up, try taking on more challenging duties, mentoring a colleague or expanding your professional skills and qualifications. If you feel your lack of job satisfaction is related to the big picture, it might be time to brush up on your resume writing skills and find a new position. A lack of resources or support to get the job done right is one of the most common causes of workplace frustration. As organisations battle it out to keep costs down, executives may find it difficult to either navigate the multitude of responsibilities they are given or implement desired strategies and procedures without the right staff in place. Solution: If you aren’t being supplied with the resources you need to succeed in your role, then you need to make changes. These might involve hiring new staff or securing new suppliers, giving current staff more responsibilities, improving processes for better efficiency or even reworking budgets to find funds that can sponsor additional resources. If your company has business practices that you can’t get on board with, then continuing to work for them can create much workplace stress. While you can still give it your all, you might never feel like your priorities and opinions are truly valued. Solution: Try finding new ways to make your voice heard or coming up with ideas on how to change the vision or policies of the organisation. If this is not feasible (which it may not be if you are not in a senior role), consider moving on to another employer whose goals, policies and values you respect. Workplace bureaucracy – including cumbersome company processes, strict work rules and tangles of organisational red tape – contributes significantly to employee dissatisfaction. As an organisation becomes larger and more established, managerial layers are added and the corporate rulebook often gets bigger. When a company becomes too bogged down with processes, it can lose touch with employees and shut down individual ideas, creativity and innovation. Solution: If you find yourself bound by corporate red tape, see if you can come up with more efficient ways of working within the given processes or obtaining additional resources (e.g. an administrator) to assist you or your team in managing the work. If you are unhappy in your current role, Resumes Australia can work with you to find new job motivation, rethink your career plans or secure new employment altogether. Applying for new employment can be a challenging task, especially if you are still currently working and juggling a demanding job. Although you will have invested much time and effort into strategising your next career move, it is often the smaller steps throughout the job application process that can make or break your success. I see many candidates who are passionate about what they want from their career, but who sometimes fall through on the most crucial steps when applying for roles, following through on applications and moving through the interview and placement process. Promoting your skills and qualifications effectively is the only way to attract the attention of prospective employers. This is achieved by investing significantly in your cover letter and resume. These two documents are the first impression you will make on an employer and are essentially your only chance to take you from the application to interview stage. When writing your resume, be sure to highlight your responsibilities and achievements that are relevant to the job specifications. Provide specific examples that showcase how your accomplishments have enhanced and improved the businesses you’ve worked for. Similarly, your cover letter should also point out your key strengths and it should directly address the selection criteria or requirements the employer has laid out in the job description. Employers also want to see that you can communicate properly, so always assume a clear and concise resume writing style when it comes to both your resume and cover letter. Many job candidates make the critical error of sending their application off and then sitting back and waiting for a response. If you follow up and discover that your application has been rejected, you’ll also have the chance to learn why you weren’t successful and you’ll be able to amend the weaker areas in your application strategy for next time. If you make it to the interview phase, preparing and rehearsing your interview technique can give you a strong competitive edge – and enhances your chances of standing out from other applicants. Research the employer and the people who will be interviewing you as much as possible. Find out what you can about the company’s approach, values, goals and culture. Practise your interview questions and answers. This involves not only knowing what to say, but understanding how to “read between the lines” of each question you are asked and formulating strong responses that speak directly to the employer’s needs. If you are unsure about how to conduct a rehearsal, a short coaching session on interviewing techniques may be beneficial. Review the job description carefully before you go into the interview and make sure you understand exactly how your competencies fulfil each criteria and how they can consequently help the organisation achieve its goals. After the interview, follow up with a thank you email. This gesture will leave a good impression on the interviewers and also means you can clarify or re-respond to any questions you were asked but felt you didn’t answer effectively in the actual interview. If you don’t hear back from the recruiter or the employer after a significant amount of time has passed (I’d say a minimum of one week), continue to follow up accordingly. Obtain a final copy of the contract and job description and double-check that your duties and responsibilities are documented and accurate. Negotiate your salary and/or benefits, using clear evidence and examples to support your requests. In general, don’t just settle on the first offer, especially if you feel your talents warrant more. If you win any negotiations, make sure these are added to your contract before you sign. Check and if necessary, negotiate your start date. Remember, you’ll need to give yourself ample time to resign and finish up in your present role. Executives working with Resumes Australia consistently achieve successful results throughout the job application process. Learn more about our resume writing and career coaching services here.